Another recruiting class for Hawai’i features players who have competed with some of their countries’ top youth national teams. Hawai’i announced earlier this week that high school seniors Chaz Galloway and Dimitris Mouchlias have committed to play for the Rainbow Warriors starting in 2020. Galloway, an outside attacker from San Diego, was selected to the U.S. Men’s Junior A1 National Training Team after helping his team win a gold medal at the 2017 USA Volleyball High Performance Championships. He also led his club team to the finals of a regional qualifying tournament in 2016. Mouchlias had a tournament-best 4.45 kills per game average at the 2018 CEV U18 Volleyball European Championship as the Greece Boys’ Youth National Team finished the international event in 11th place. The opposite from Thessaloniki also helped his club team win the U18 Greek Championship and was named the most valuable player at that national tournament. Mouchlias will be one of several Hawai’i players from Europe in recent years who have competed with their national teams. Outside attacker Stijn van Tilburg returns for his senior year after being sixth in the nation with a 3.93 kills per game average last season. In addition, the All-American spent the offseason playing with the Netherlands Men’s National Team. van Tilburg is one of several starters returning for the Rainbow Warriors. 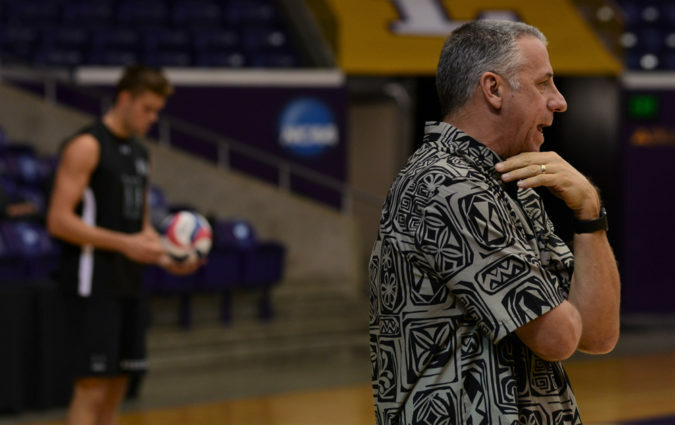 Hawai’i narrowly missed the final at-large berth to the NCAA Tournament last season and was ranked No. 5 in the national coaches poll.